This question has driven community-based arts educator, author, playwright, poet and eco-cultural activist Dan Baron Cohen for many years. He’s travelled from ground-breaking work in post-industrial Manchester and conflict-transformation projects in Derry, Northern Ireland, to today – his 20th year of living in and with the Amazon. There he works to create an arts-rich, performance-based approach to education for sustainability rooted in popular culture. 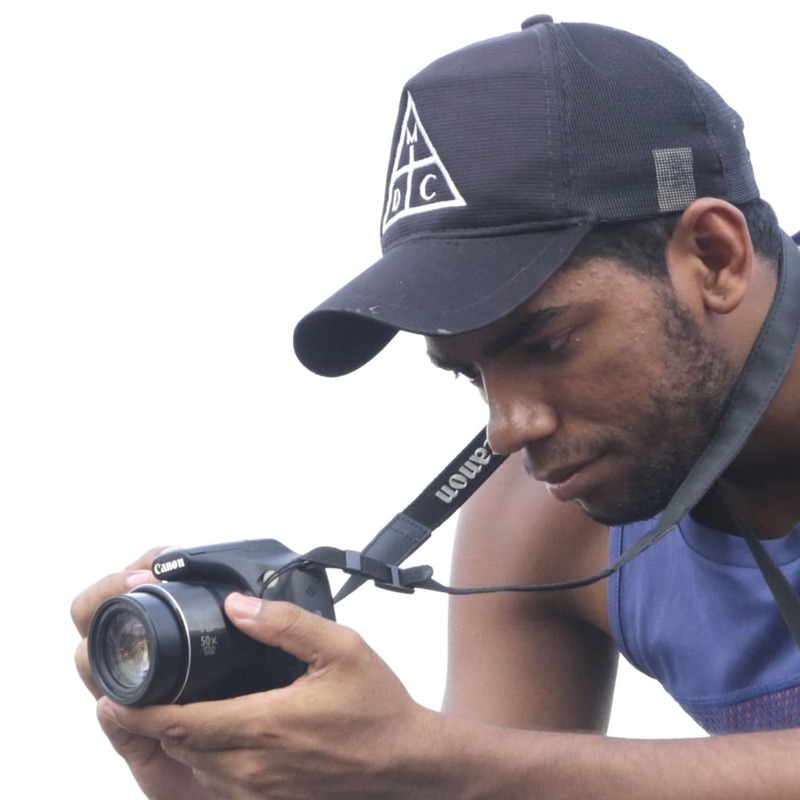 The precise location of his work is in between the Itacaiúnas and Tocantins Rivers, in Pará State, in the small Afro-Indigenous community of Cabelo Seco, Marabá City. This region of the Brazilian Amazon has the greatest biodiversity and concentration of iron ore and drinking water in the world. It’s also an area plagued with violence, poverty and social marginalisation that was considered a ‘no-go favela’. 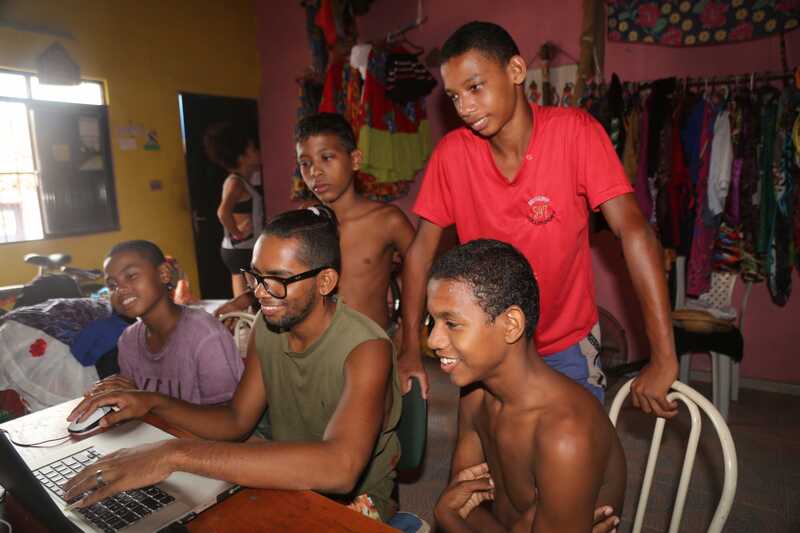 Locally and internationally known as Rios de Encontro (Rivers of Meeting), the young artists of Cabelo Seco, together with Dan and his partner Manoela Souza, nurture Amazonian community culture through afro-contemporary dance, musical and percussion performance, video production, kite-making and bike-riding festivals, and medicinal garden projects. 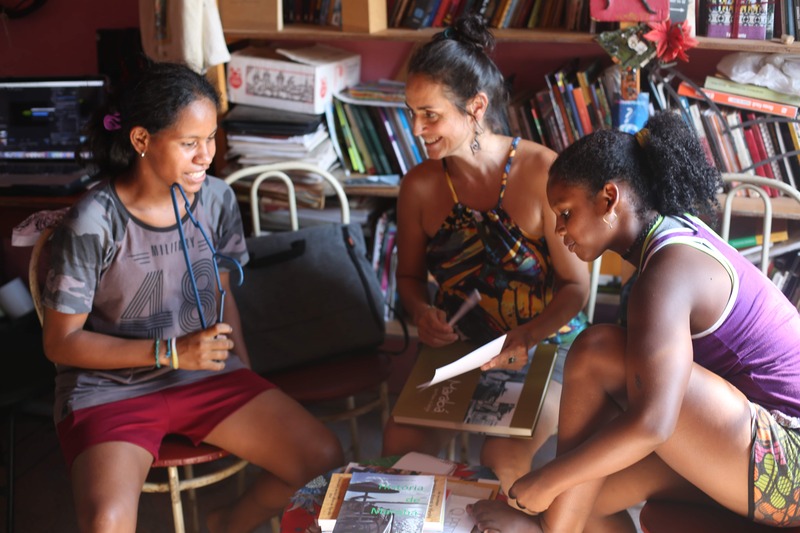 The community explores its cultural identities in the street, school, home and through intercultural residencies towards a sustainable, self-determined solar-powered future, as an alternative to industrial development. 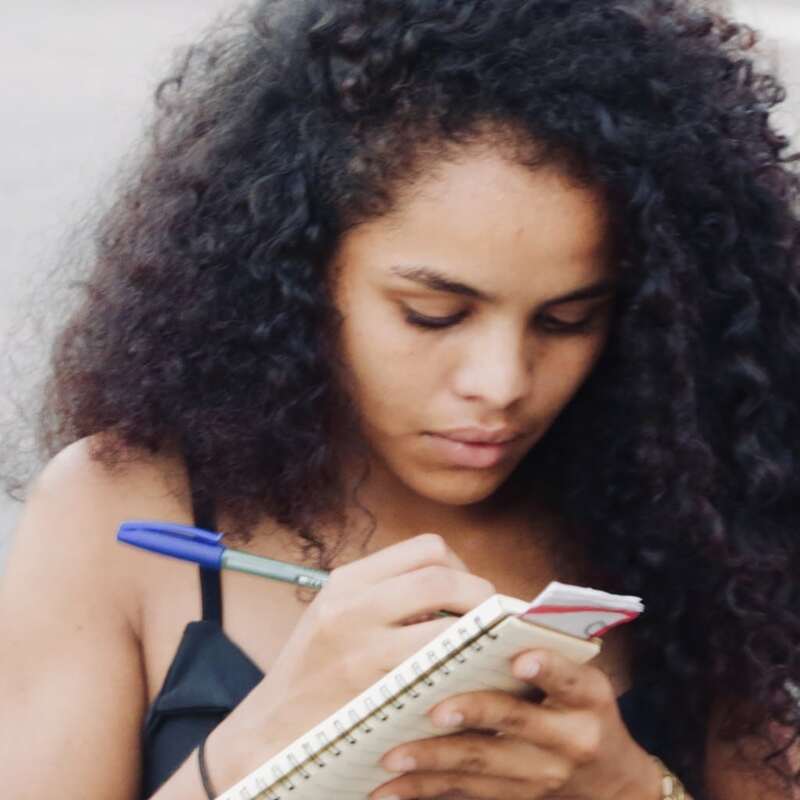 Since 2008, a growing number of young people, art educators, local institutions, international collaborators and social movements have transformed the place – and their futures – by partnering with this youth-led project arts-as-transformation project. 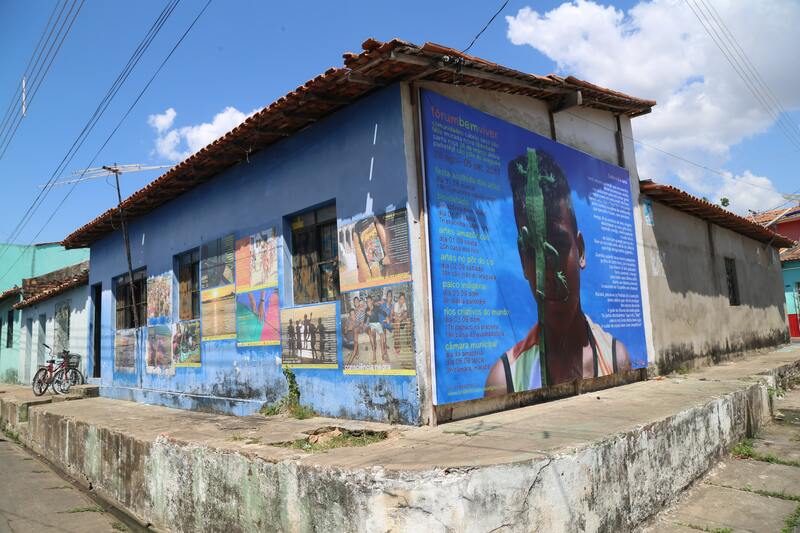 Cabelo Seco is a calm, culturally-rich but violated, community in a fiercely contested territory. 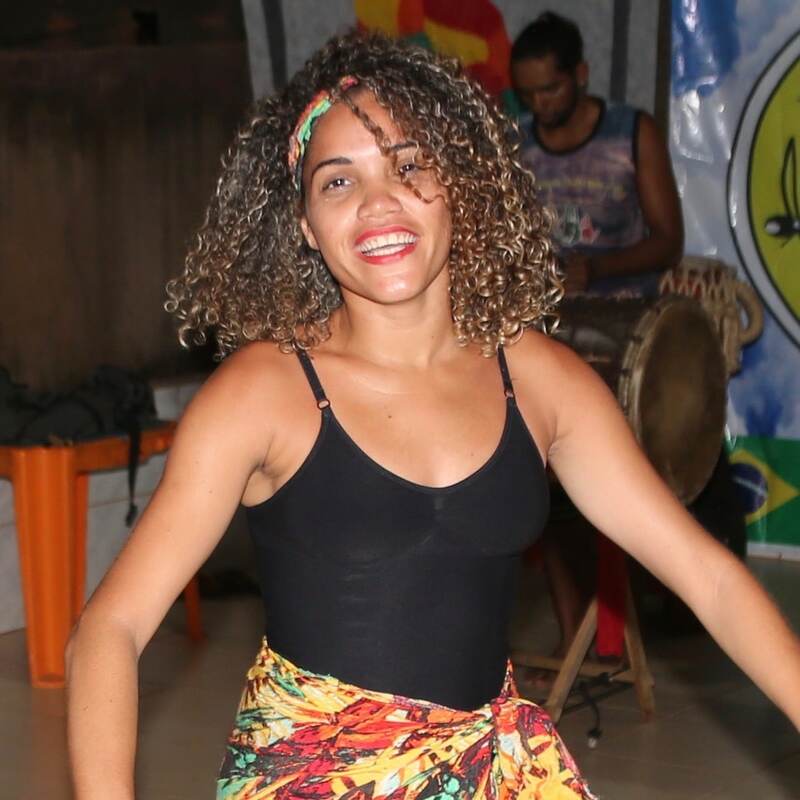 Its resources are fought over by economic super-powers alien to the people of the region, where Afro-descendent youth are 12 times more likely to be murdered than in any other region in Brazil. 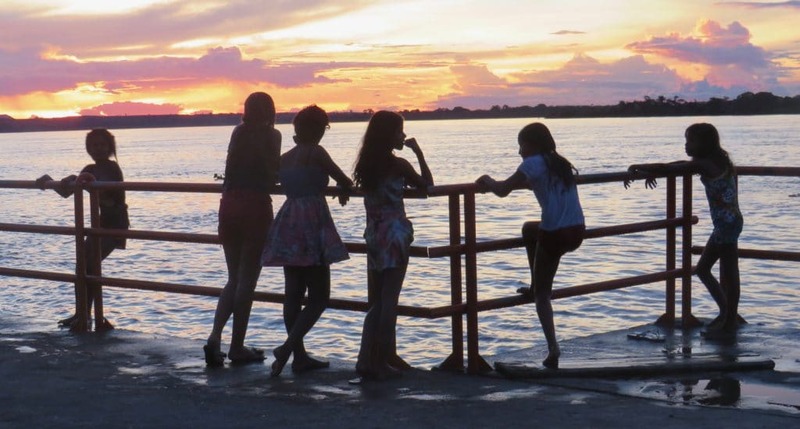 Many young people were unaware that their city was situated in the Amazon – failed by the poorest high school education of their country, they also didn’t understand the importance of the Amazon to the world. Yet, they held the knowledge and traditions to protect it even if they hadn’t completed formal primary school education. 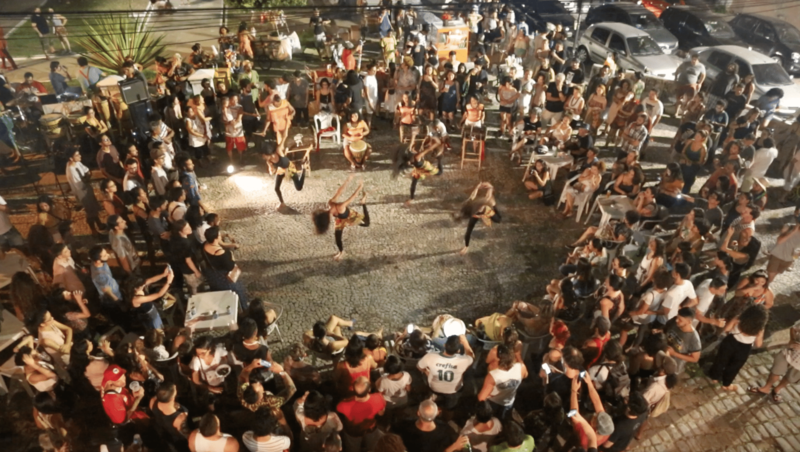 Rios de Encontro has given birth to a collective of cultural cooperatives. 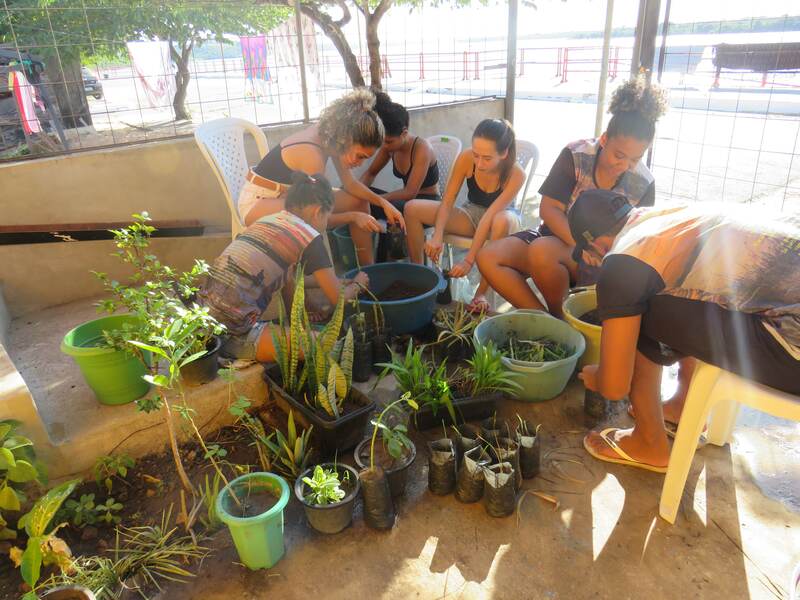 These community-created and youth-led projects use percussion, dance, music, theatre, video, cinema, radio, journalism, solar energy, medicinal gardens, bike rides and kite-making to remake and protect the founding community of the region. 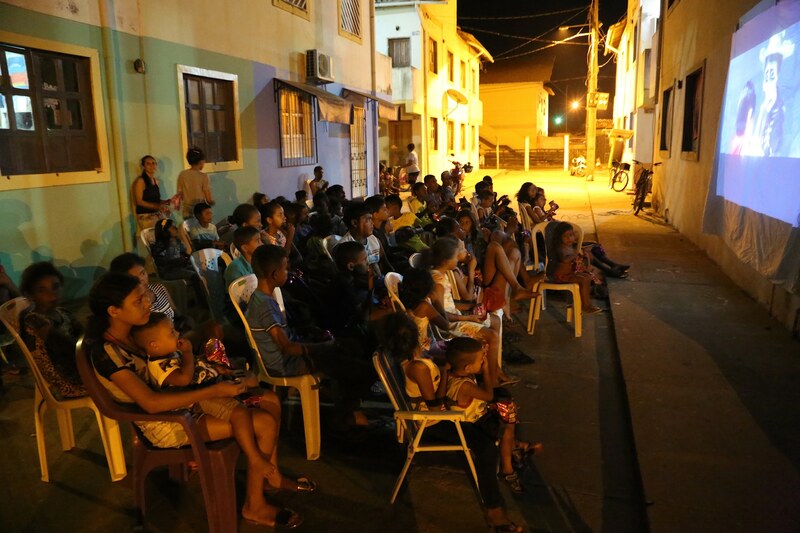 The Owl Community Cinema, Leaves of Life community library and bi-annual community festivals and weekly performances are now part of theeveryday rhythms of Cabelo Seco streets and cultures. The Community University of Rivers was founded in 2013. 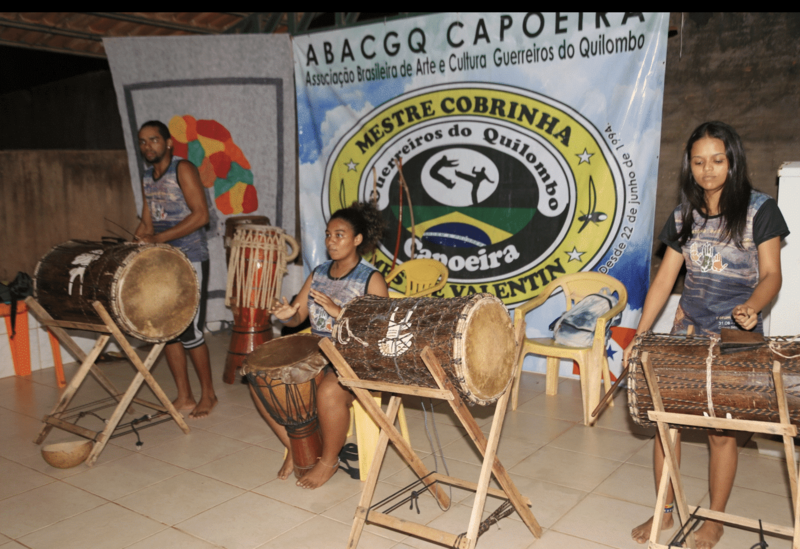 It is home to the eco-cultural education at the heart of all this activity and was established to value Cabelo Seco’s Afro-Indigenous knowledge. Today the university is internationally recognised for the challenge and resistance it provides to the exploitation of the community by powerful mining interests. 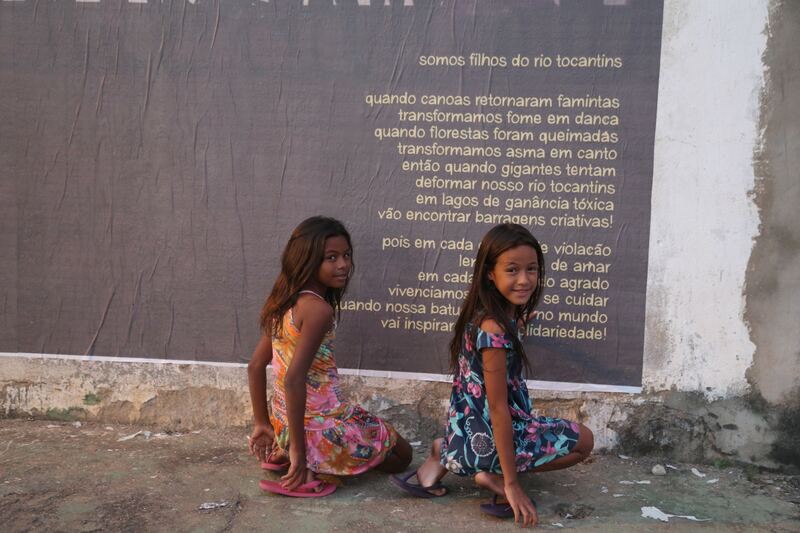 Cabelo Seco went from a no-go favela into acknowledged territory of the region’s ‘imaginário’ – the cultural soil of the imagination. The university has been part of the transformation, creating a climate of self-respect and citizenship. We call the approach ‘an eco-pedagogic paradigm’. Culture and performance techniques are used for social transformation. ‘Transformance’ can guide a way of good living (‘bem viver’ in Portuguese). It can enhance community security, teacher education and youth-led performance as advocacy. The project was founded by the Transformance Institute in 2008, but today dwarfs the institute, having won so many regional, national and international awards. During our Kite Festival, people who suffer the worst formal education in Brazil, make complex maths and physics calculations, experimenting, evaluating, connecting: any error and their kite will not fly. For me, this is the essence of ‘transformance’. 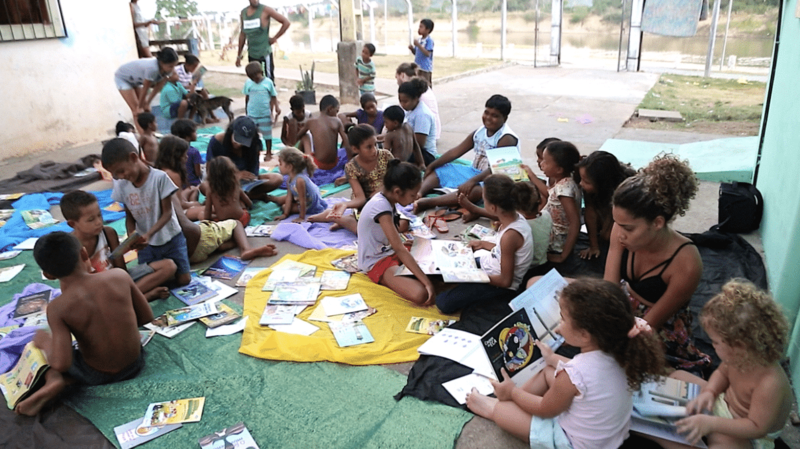 Without words, we transform an authoritarian approach to education into a model of sustainable community! The Bike Rides for Life is another inspiring example. The participants transform the everyday murder of black youth – by the police, by drugs mafia – into a celebration of cooperation, solidarity and empathy, with each other and with their rivers. The evidence for the project is the young people themselves. They have demonstrated the potential to develop organic, sustainable processes, deeply challenging in the time of civilian dictatorship and mobile-phone addiction, but related to the survival and transformation of a community and the most essential biome in the world. 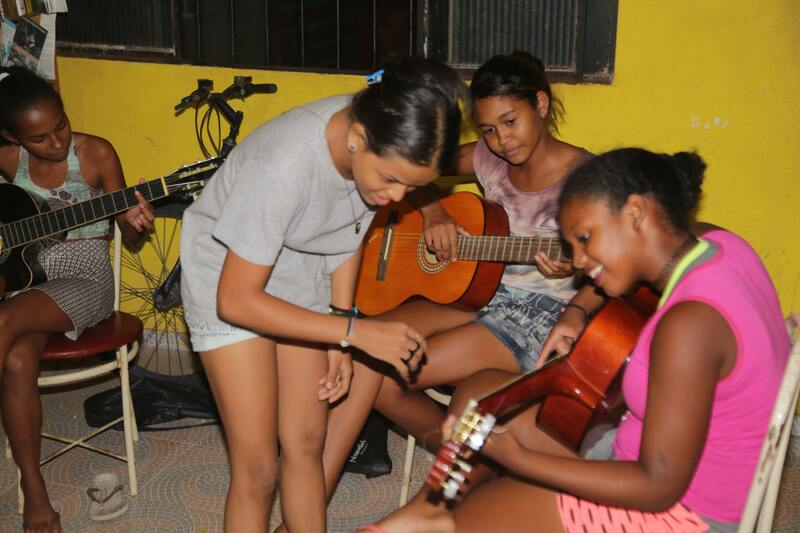 The youth are co-creators, coordinators and researchers of everything that Rios de Encontro does. They go on to become art educators, media speakers and project coordinators. When our young AfroRaiz coordinators speak at international conferences, we are proud to see how they can articulate their lived and learned experience with the language of cultural action for transformation! The river is the stage. It’s also the backdrop, the lifeblood of the community, and much of the composition and performance is dedicated to it. Over 1,200 pupils have discovered through dance, percussion, song and theatre that the Amazon is within them, where they live, study and play. “Let our river pass” is a chorus running through the work, whose influence is gathering pace and power. 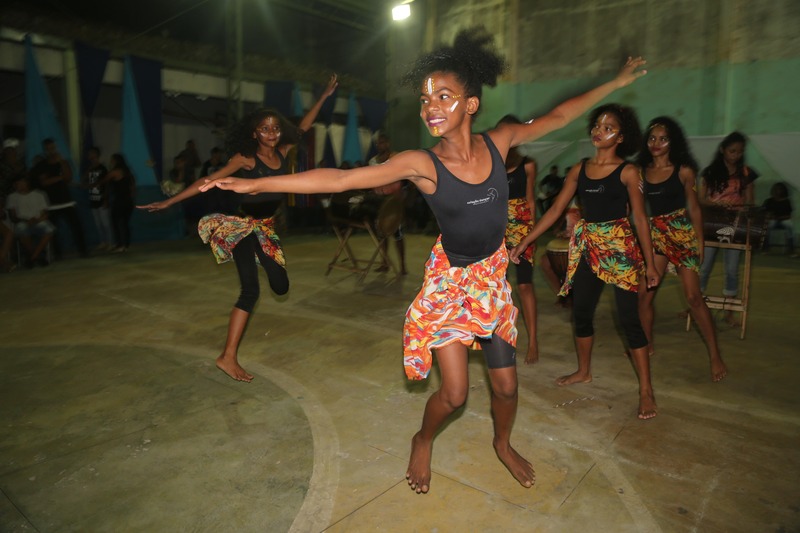 While more international and economic collaboration is always needed, the ‘micro-projects’ coordinated by the young performance educators have been supported by Brazil’s Ministries of Culture, Education and Justice, UNICEF, UNESCO and the European Union. This work is having significant impact. 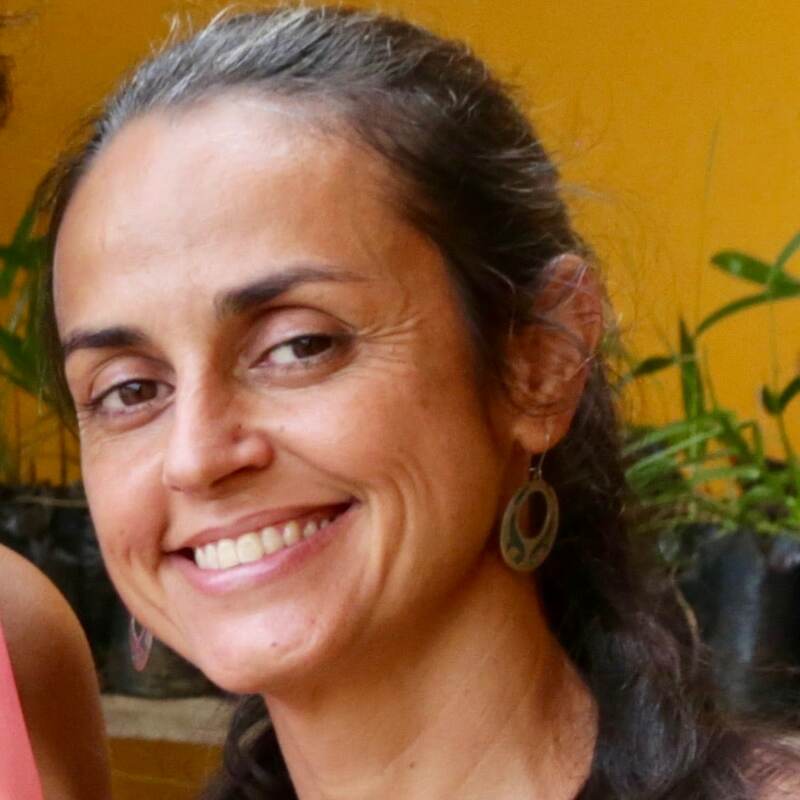 The federal government claims such projects even influenced its January 2018 decision to cancel all hydroelectric dams planned for the Amazon. Our work can be interpreted for every place and circumstance through the world. It’s the product of 35 years of continuous experimentation, solidarity and collaboration through sustained community-based projects. 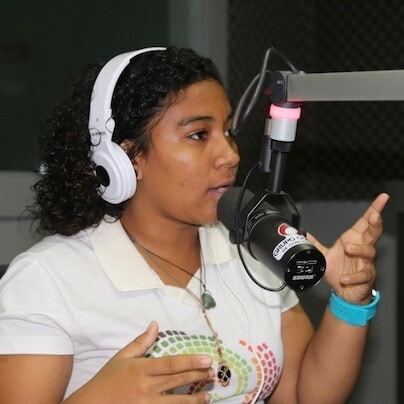 I am currently… editing, interpreting and publishing the unique Rios de Encontro archive (essays, short-stories, calendars, poetry, videos, project reports) so that they can be accessed and used by others. On 28th October 2018, a dark smog of mistrust and fear enveloped Brazil, permeating our relationships and the places where we live, love and create. 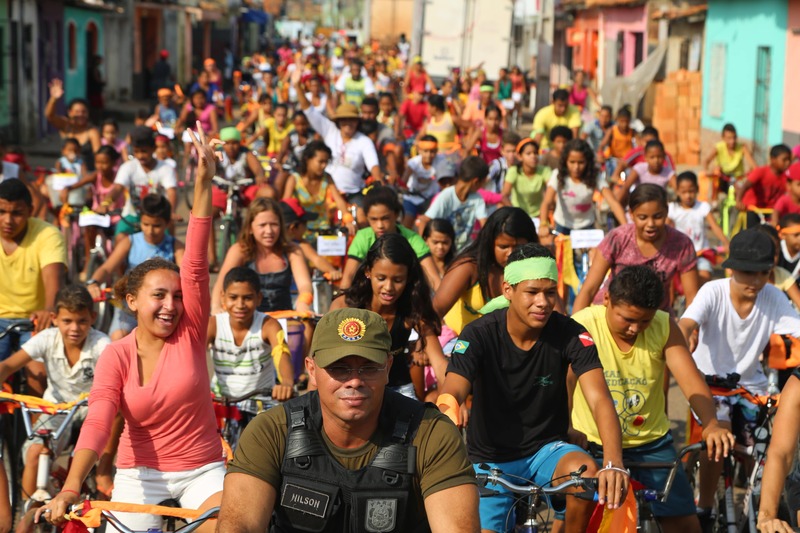 Here in Marabá, one silent question lowered eyes and opened tense new distances of suspicion: Who did you vote for? The next morning, as life continued, the question diffused into dark whispers and tears of pain: What happened? How long will this last? Should we leave? But our community will continue to transform repression into good living. Without culture and creativity no social transformation of inequalities is possible. We cannot resist exclusion and other violations of human rights, nor educate for a sustainable world of ‘good living’. Culture and creativity are how we can interrupt the compulsive authoritarian histories we carry in our visceral memories and imagination. For this reason, culture has always been marginalised and locked inside exclusive ‘places’ and creativity has now become an economic concern, rather than the basis of all human relations, education, and problem-transformation. Seeing the first generation of artists in our present project (who began at 6-12 years old, and are 16-22 years old), now forming the second generation of artists-for-sustainable-transformation, inspires me every day. These are difficult times, but I have great hope. Despite the scale and urgency of the challenges faced by the community, I remain convinced of the possibility for continued transformation. 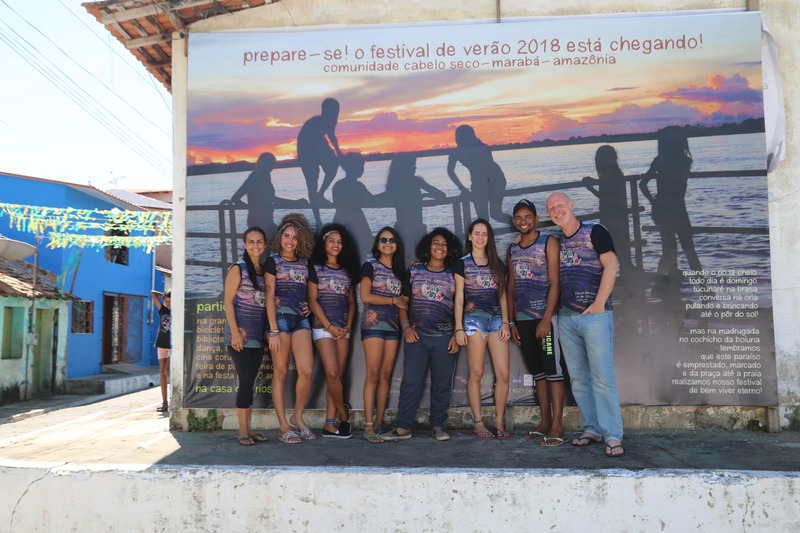 The Rios de Encontro collective ► As part of CultureFutures, Dan introduces us to the collective of eco-cultural youth activists. Dan Baron Cohen was talking to Cathy Runciman. Photos: Transformance Photo-Archive 2018 (Rios de Encontro, 2018).